Version 3.2 released! Third party adapters now supported! 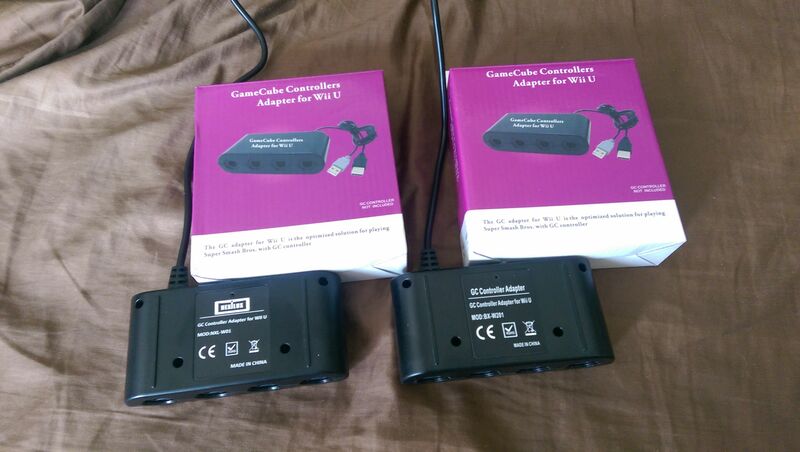 I have just pushed out version 3.2 of the Wii U Gamecube adapter. The biggest thing added to this release is full support of third party adapters. With the general lack of first party adapters and the relative glut of the third party adapters, I figured this addition was well overdue. I still heartily recommend the official adapter, as well as the mayflash adapter (which has it's own native PC mode), however the third party adapters work very well too. However, having purchased two of what I thought would be different adapters, I have come to find that most of the alternatives (the non mayflash ones) are identical in every way except branding. Don't believe me? Check it out. On the left you'll see the "NexiLux" adapter and on the right you'll see the "Kelux" adapter. They both came in identical packaging with different barcodes (pictured above them). Other than branding, which was mostly just stickers, there is no difference in build quality or functionality between the two. So overall, if you're going to buy an adapter, buy the official one or the mayflash one. If you're going to buy one of these, go for whichever is cheaper. I have just pushed version 3.11 out via the auto updater functionality released in version 3. This is the first official use of the auto-updater, so hopefully everything goes smoothly. This release is basically just a bugfix release for version 3.1, fixing some minor issues that prevented the dpad from being detected in some instances as well as some issues enabling or disabling controllers 2-4. You can view the changelog on the release page, here.